Wait, wait, I know this trick. 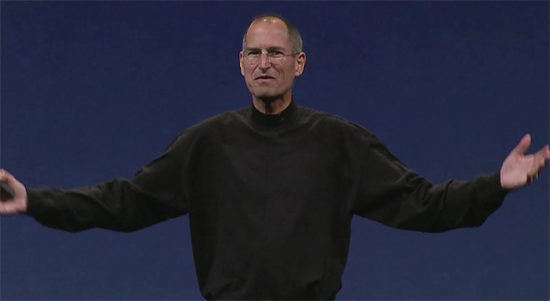 Steve Jobs gets on stage, announces a new phone, and all of the sudden I’ve got to wait in line for hours to spend money. It’s like World of Warcraft, but less convenient. We all knew it was coming and once the specs were announced I honestly wasn’t that excited about the iPhone 3G; it seemed like a fairly minor set of updates to the original iPhone. At the same time, part of what I needed was a reality check. Despite selling very well, most smartphone users still don’t have an iPhone and many haven’t ever used one. Many are scared of the virtual keyboard while others haven’t been able to jump the Windows Mobile ship without better Exchange support from Apple. To the uninitiated, 2008’s iPhone 3G release would be no different than last year’s. Those I was in line with who had never owned an iPhone were just as excited about the 3G model as the people I was in line with last year for the first iPhone. I also couldn’t help but remember what happened with the first update to the iPod after its release. 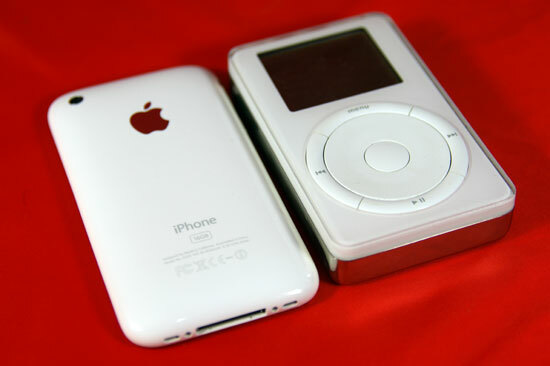 While the original iPod was amazing, its second generation successor was hardly as impressive. Apple made some much asked-for changes, but moving away from a physical wheel and buttons to touch sensitive controls really hurt the experience for me. I wondered if the second iPhone out of Apple would suffer from a similar repeat of history. The first one was so good that the second one would inevitably be a letdown. Apple further complicated things by, out of the goodness of its own heart, giving all existing iPhone users free access to the software updates contained within the iPhone 3G. The long awaited 2.0 firmware upgrade, enabling the ability to run 3rd party applications and search contacts among other things. What would’ve otherwise been good reasons alone to upgrade to the iPhone 3G were now given to all iPhone users. When the iPhone launched we all knew that Apple would have to get the price down to below $200, but the how was what perplexed us. Rumors of smaller versions without a touchscreen were aplenty and despite none of them making any sense, we assumed that it would have to be the route that Apple would take - since that’s how the rest of the cellphone industry works. It turns out that the cheaper iPhone is nothing more than the iPhone itself, simply subsidized by AT&T. At $499 the iPhone was a must have for any serious smartphone user, at $199 it would seem to be a no-brainer. That is before you take into account increases in the recurring monthly costs that AT&T has snuck into the iPhone 3G launch, but I’ll talk about those later. There are concerns about size and battery life, users want to know if the new phone is slower, buggier or if the new GPS is actually useful. Then there are the third party applications that launched with the App store, do they enhance the platform or simply make it more amateur? I started this review thinking that it would be short but, much like last year’s iPhone review, the further down the rabbit’s hole I got, the more I realized there was to talk about. I’m going to take you through much of the new firmware and the new phone. I’m going to talk about battery life, reception and how the Apple/AT&T relationship has changed. I’m going to talk a lot, it’s what I do, and the subject this year, just as it was last year around this time, is the iPhone. AT&T's coverage could indeed be better, but then again they are still rebuilding from when they decided to switch from TDMA to GSM, instead of following the natural path to CDMA, which Verizon, Sprint, and Alltel (soon to be Verizon) use, as well as many more localized carriers. The problem with CDMA is that it is going nowhere. The majority of the world is GSM, and CDMA is becoming more and more marginalized, in fact in the next 4 or 5 years CDMA will be practically phased out in the US. Verizon (and Alltel) will be switching to LTE, a GSM based technology which will be a rough transition - either resulting in sacrificed coverage, or more expensive devices (like Verizons expensive "world edition phones") that will run on both their networks. Either way, they will be doing what AT&T (Cingular, whatever) did 4 or 5 years ago, and much later in the game. Meanwhile AT&T will make a natural transition from their 3G, which is in all fairness not nearly as widespread as EVDO at the moment, to LTE. Sprint will be going WiMax. Not one major carrier in the US or abroad has made a commitment to the future of CDMA. Verizon has held on to EVDO as long as it could, and has prolonged having to switch, but they are beginning to hit the limitations of EVDO, meanwhile 3G is just getting started, with AT&T planning to follow suit of carriers abroad and boost the speeds to around 20mbps in mid-2009. EVDO will be topping out around 3.2 at most, if even that. While having used all the services I strongly disagree with saying that Sprint or T-Mobile even come close to AT&T for coverage, it is largely regional subjective, and is really not fair to work in experiences in one localized area into the review for the phone. Like them or hate them, AT&T recognized early that GSM was the roadmap to go. Like it or hate it, blame Verizon for delaying the inevitable for so long...it makes no sense for Apple to make a CDMA phone when it is so limited in implementation globally. Because of that decision they are the most widespread GSM provider in the US (the US was a little late in getting into the GSM game). With no user replaceable battery, it is a toy, not a reliable business device. It seems to me that 90% of the users I see are fiddling about on it with their fingers and not even 10% use Bluetooth. Are there still no voice driven commands? That's how I use my phone. Seems like a great device for someone who wants to make calls on their iPod when they are not listening to a lossy audio source. Sprint or whoever has released the perfect smart phone! It's based on Windows Mobile and is beautiful to behold! There is nothing else anything like it! The Instinct! The ZunePhone has suffered a few setbacks so this will have to do until we work out the bugs. Buy it! Don't be decieved by that imitation iPhumb. I think there's a fairly obvious (to me anyway) reason why the talk time measured is almost half the time the specs state, beyond the best case scenario stuff. In most conversations, there's a significant amount of dead air. Even if it's only 1/10 - 1/4 of a second at a time, over the course of several hours, that will add up. But with most music, there's almost no dead air. Even when the person isn't saying something, there's at least some sound being generated. Detecting that dead air and not transmitting would probably be the best for battery life, but even if it continually transmits, the compression would reduce the amount of data transmitted to almost nothing. Ehm... No man, there's no way this could influence battery life. No matter how intense is the information in the call, most of the energy drain is due to the "line" itself... Keeping the full-duplex conversation online. Everything else left to the battery is the loudspkeaker consumption... But it's a ridicolous amount, you won't be able to measure its impact. Actually the original commenter on this was correct. This is a time-honored technique for getting more battery life out of cell phones. Channel allocation for voice calls is done at call setup. A continuous data stream is not needed to keep up the "line". If either end of the call has nothing to send, it does not need to transmit, saving significant power. The technique used in this article probably does underestimate the battery life. Not by 100%, but maybe 20-30%. Transmit power is much larger than audio power. That is why you get 24 hours listening to music on the iPod side, but only 5 or so hours doing cellular phone calls. Openmoko will have the best 3rd party support while Nokia and Google (Maemo / Android) have their own ressources. But regarding their openness they are evil. The FIC Freerunner is a nice phone but the Openmoko project still has to develop a lot. On the other hand I think that a Open Pandora handheld with a USB HSDPA modem (maybe builtin in future revisions) is a lot more usable and even has game controls. Telephony and navigation could be done via a bt headset+voip and gps receiver.